Portland, ME WW/Press/March 31, 2016 – Robert S. Hark, Attorney at Law, was selected for inclusion in the forthcoming Top Attorneys of North America – 2016 edition of The Who’s Who Directories. The accomplishments attained by Mr. Robert Hark in the field of Legal Services warrants inclusion into the Top Attorneys of North America. With a broad range of experience in all phases of law, ranging from counseling and advice to litigation, Robert Hark provides quality representation for your needs, whether they entail business decisions, estate planning, interaction with governmental agencies, or representation in court or before administrative agencies. The kinds of services he provides are negotiation and documentation of business and commercial real estate transactions, business, employment, and all other kinds of civil litigation, advice and representation for municipalities as well as people and businesses interacting with municipalities, arbitration and mediation. Mr. Hark believes that every clients, whether individual or institutional, has specific needs as well as the need to understand the process in which he or she or it is involved. Robert received his A.B. from Colby College and his J.D. from Boston University School of Law. 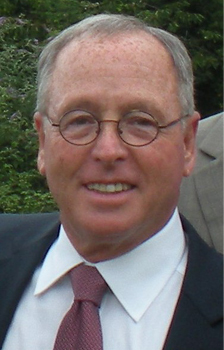 He is a member of the Cumberland Bar Association, Maine State Bar Association, and American Bar Association. 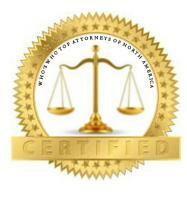 Be the first to comment on "Top Attorney – Robert S. Hark"